France, birthplace of the modern political revolution, last year saw fresh riots in the streets. In 1789 the powder keg was lit by rising bread prices. In 2018 it was, indirectly, the same. As with the French Revolution, the conditions that drove protests in December were complex. But, by the time dissent had erupted into violent confrontations between riot police and the ‘gilets jaunes’ (yellow vests), the proposed increase in fuel duty on diesel had come to symbolise all that was wrong with the government and the world. Politicians and policymakers around the world would have taken note. At least, the smart ones would have. In an age that will be defined by how we respond to increasing energy needs and finite coal and oil reserves, fuel is going to be an increasingly provocative issue. In this context, it is surprising how little public debate has taken place around IMO 2020. Or perhaps it isn’t surprising at all. The imminent enforcement of a new 0.5% sulphur cap on all fuel used at sea is an event so seemingly obscure that politicians feel comfortable ignoring it. That’s if they’re aware of it at all. The average consumer doesn’t even know what the International Maritime Organisation (IMO) is, let alone how its new Sulphur Oxide (SOx) regulations could affect her. Yet, the economic impact of the IMO changes that come into force on 1 January 2020 could be massive. For the person in the street, shipping is a hidden force, operating below a socio-political radar locked on Brexit, Trump’s Wall and the Kardashians. The maritime industry produces around a billion tonnes of carbon dioxide (CO2) a year. 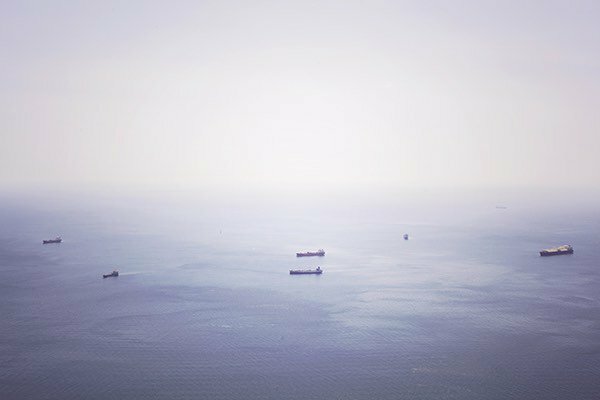 Though unthanked and unseen, the shipping industry is vital to the survival of modern life as we know it. But there has been a price to pay. Most of the world’s 80-90 000 ships burn high-sulphur bunker fuel, the thick, dark and heavy residue left over from the refining process that creates lighter and cleaner fuels like diesel and gasoline. In fuel terms, these are the dregs. But they are cheap dregs, and when 50-60% of a ship’s operating costs are accounted for by fuel, the price of that fuel is the deciding factor for most shipowners. However, the costs to the environment and human life are higher. The maritime industry produces around a billion tonnes of carbon dioxide (CO2) a year. When burned, residual fuel oil releases fine particles and harmful gases that damage natural ecosystems and cause a range of human maladies. According to research published in Nature Communications, these emissions contribute to acid rain and respiratory illness that cause between 212,000 and 595,000 premature deaths a year and 14m cases of childhood asthma. In reducing the permitted Sulphur Oxide (SOx) content of ships’ fuel from 3.5% to 0.5% from 1 January 2020, the IMO has indicated its commitment to lowering the negative impact of shipping operations. This is good news for humans and the environment, though it won’t come without sacrifice. The shipping sector consumes vast quantities of fuel oil - half the world’s total demand in 2016. Any major changes to fuel consumption in this industry inevitably reverberate through the energy markets and beyond. Shippers who aim to comply with IMO 2020 have three primary choices: switch to low-sulphur fuel (LSFO), fit an exhaust gas cleaning system (scrubber) or switch to alternative fuels, such as Liquefied Natural Gas (LNG). Though gas scrubbers and LNG conversions are gaining traction (with scrubbers proving especially cost-effective), most operators will be burning LSFO from January next year. But will there be enough? The IMO says yes, based on research by CE Delft. Others say that the technological differentiation between older and newer refineries means that some will not be able to produce the quantities of LSFO anticipated. Either way, the shipping industry is expected to need around 2.5 million barrels per day of additional low-sulfur fuel. In less than nine months’ time. The huge spike in demand will drive LSFO prices up. How much depends largely on the market’s expectation of refineries’ ability to meet supply. But estimates of price increases range from $5-$20 per barrel. Whether operators are faced with increased fuel prices or significant capital investment in the fitment of a scrubber or LNG conversion, the cost to shipowners will be significant. Increased costs to shippers will be passed all the way down the value chain, eventually reflecting as higher prices on supermarket shelves. Wood Mackenzie expects compliance to cost the maritime industry $60 billion in 2020. Goldman Sachs estimates a total economic cost of $240 billion when accounting for higher fuel prices in other industries. This will begin a ripple effect, which could become a wave by the time it reaches the consumer. Increased costs to shippers will be passed all the way down the value chain, eventually reflecting as higher prices on supermarket shelves. This inflationary effect will be accelerated by the relative increase in terrestrial diesel prices. At least initially, a large portion of the higher grade low-sulphur fuel required by the shipping industry will be commandeered from existing demand. That means less availability for air and road transport. As the relative supply of fuels like diesel decreases, prices will rise and vehicle owners can expect to pay more to fill up at the pump. This is a direct hit to the pocket and the monthly budget. An increase in diesel prices will also increase the cost of road freight. And, as most consumer products in industrialised countries are delivered by road, this will trigger a rise in the price of food and other essentials. Holidays will also be more expensive for the average consumer wanting to travel by land or air. As refineries commit more resources to manufacturing marine fuel, the effective supply of jet fuel will also be reduced, leading to price rises. Airlines will increase their rates to compensate and soon affordability will force families to renegotiate their holiday destinations. The knock-on effects of that on tourism industries in destination countries may not be felt at home, but they will be very real for those who earn a living from tourists. In many developing countries, that includes most of the working population. Of course, the tourism industry is only one of many industries that will be impacted. Despite growth in renewable energies, most economies remain founded on fossil fuels. A poorly managed and extreme rise in fuel prices increases the operational costs of most major businesses. At a microeconomic level, this impacts business profitability, resulting in price increases on all services. On a macro level, the long-term effects are even more significant. According to S&P Global Platts Analytics, the total economic cost of IMO 2020 may reach $1 trillion over five years. Energy economist, Philip Verleger, estimates the impact of the IMO’s new rules on transport costs could wipe 1.5% off global GDP. In such conditions businesses are reluctant to invest. Economic growth stalls. Consumers become more frugal. Lower spending drives further business contraction. In the worst cases that results in staff reductions or business closures. This spells potential disaster for workers who are already saddled with higher costs of living. These are large repercussions for an event that most consumers do not even know is coming. People do not like to be surprised. Even though IMO 2020 will have long-term benefits for the environment and humanity as a whole, the repercussions in the short term are more difficult to predict. We live in a world that feels more volatile every day. And history has taught us what happens when the masses have to pay more for bread.